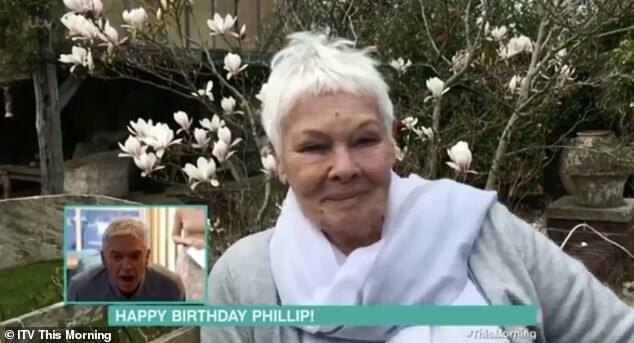 Phillip Schofield was lost for words on This Morning on Monday after Holly Willoughby surprised him with a special birthday message from Judi Dench. Holly, 38, wished her co-star a happy 57th birthday as she kick-started the show. 'We can’t start the show without saying a very Happy Birthday to you,' she teased. Holly then told him: ‘And I know that you don’t like too much of a fuss, however, bear with me, because I know there is a certain lady that you would love to have in here on This Morning sofa and interview one day.